Every year, hundreds of GoodGym runners across England and Wales take part in their first race. Whether that's a 5k, a 10k, half marathon or marathon, everyone remembers their first race. We spoke with two runners who have recently ran their first race to find out how they found the experience. 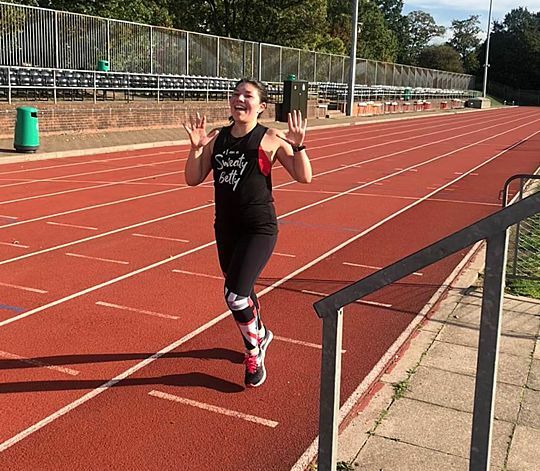 Poppy has been running with GoodGym Lambeth since January 2019 when her partner introduced her to the community as a way of running and doing good deeds too. Last month, she ran the Monsal Trail 10k race with 39 other GoodGym runners. "The Monsal Trail was my first 10k and very first race not just with GoodGym, but ever. I'd only ever run 5k in one go before the event, so I was a bit nervous on the day about how it would go!" "I ended up running with two runners from GoodGym Lambeth and Islington, Ruth and Claire, and chatted the whole way, which meant I enjoyed all the running from start to finish. As someone who is very new to running, I was so glad (and a little surprised!) at how enjoyable the actual run was!" As someone who is very new to running, I was so glad (and a little surprised!) at how enjoyable the actual run was! 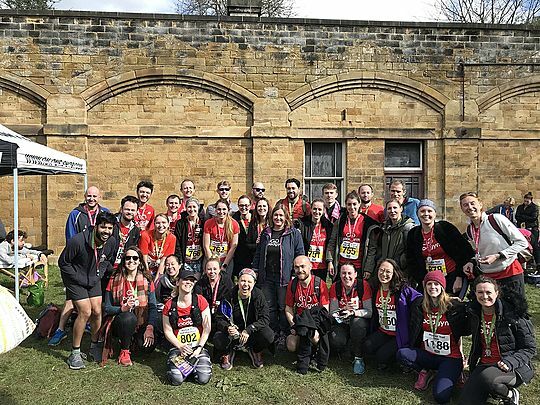 The 40 runners at the Monsal Trail race spent the weekend in the Peak District together where they took part in a Bakewell tart competition and went to a community mission in Sheffield. "It was brilliant to get to know a new bunch of friends and eat vast quantities of Bakewell tarts in the process- well done to James on the bake-off victory!" Poppy trained regularly with other GoodGym runners in Lambeth. "Running with the lovely Lambeth group formed my training; Katie has been an awesome trainer. I wouldn't have had any interest in running a 10k without GoodGym inspiration! The focus on socialising and doing fun volunteering is a great motivation for me to get running too. Everyone is supportive and I'm finding people's enthusiasm for running is infectious." Sian has been running with GoodGym Wandsworth since August 2018 when she moved to London and wanted to do more good for the community and meet new people. She ran her first race in November in London. "The first race I did was Fulham 10k in November. I definitely utilised GoodGym to apply for it and train, not sure I could've got through the first 10ks I ever ran without GoodGymers to distract/encourage me on longer group runs." "Running is important to me because it's the way I clear my head, it keeps me sane and also calms me down. Plus I started running when I was broke and couldn't afford to have a gym membership so it was accessible to me." Running is important to me because it's the way I clear my head, it keeps me sane and also calms me down. Sian trains regularly with GoodGym in Wandsworth and has taken part in social track sessions and long runs with other GoodGym runners at the weekends. "GoodGym motivates me because the people are so warm and encouraging. I would never have signed up without GoodGym Wandsworth egging me on as a lot of them were doing it." "I started off on the Couch to 5k programme once I decided I wanted to give running a shot. I went from power-lifting and martial arts to being injured to feeling lost/unmotivated in the gym, so once I graduated and moved back in with my parents I wanted to throw myself into something new. Plus I wanted some alone time and a quick workout after a 1-2 hour commute home from working in London so it fit into my lifestyle." Sian says that the GoodGym community brought her closer to meeting her race goals, and that comments on Strava have been very encouraging. "I've definitely made a lot of Strava friends from it, and a few good friends who I enjoy hanging out with outside of the club. " Every runner can get involved with a race with GoodGym, regardless of your ability. Every race is very friendly and brings together GoodGym's community of runners across the country.